Halloween is just around the corner again, and we’ve gathered together our favorite free sewing projects to help you decorate your home, create a costume, and trick-or-treat in style. 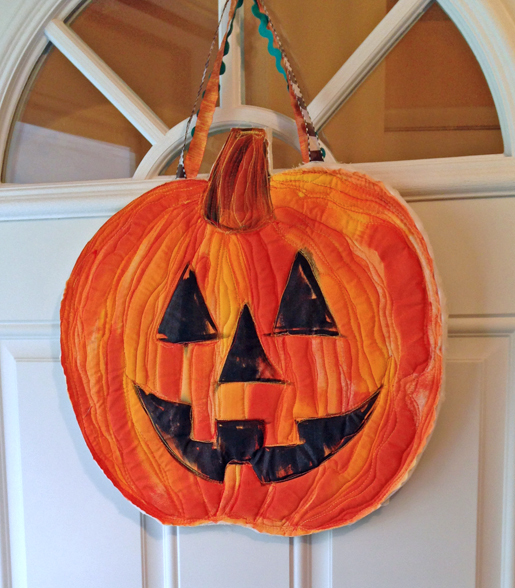 Greet your guests at the front door with this happy jack-o-lantern. Find the DIY Happy Jack Door Hanger tutorial here. This little black cat is too sweet to be spooky! 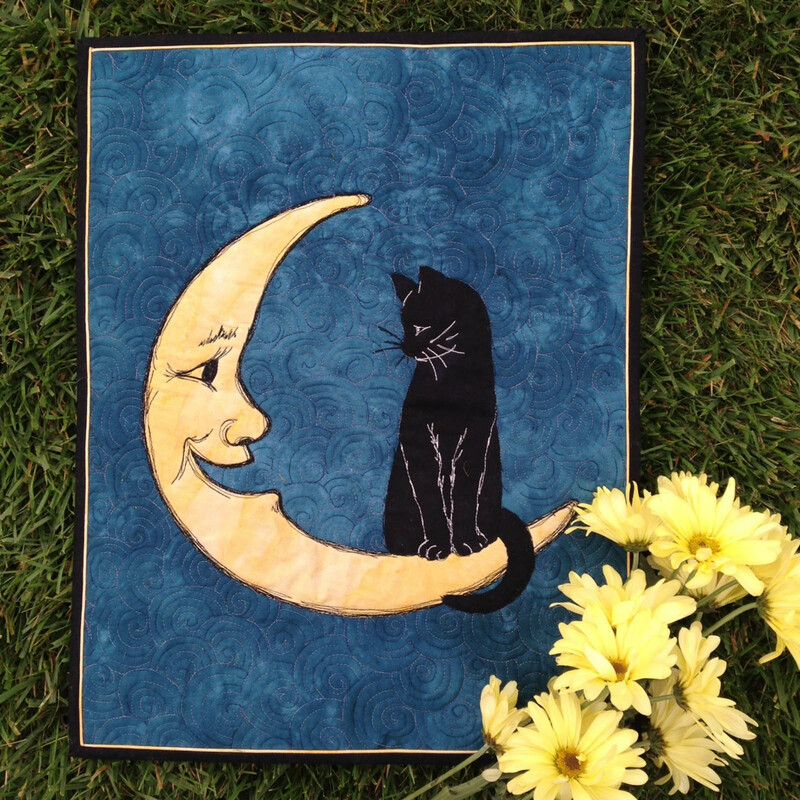 Create a fun cat and moon wall hanging with this tutorial. 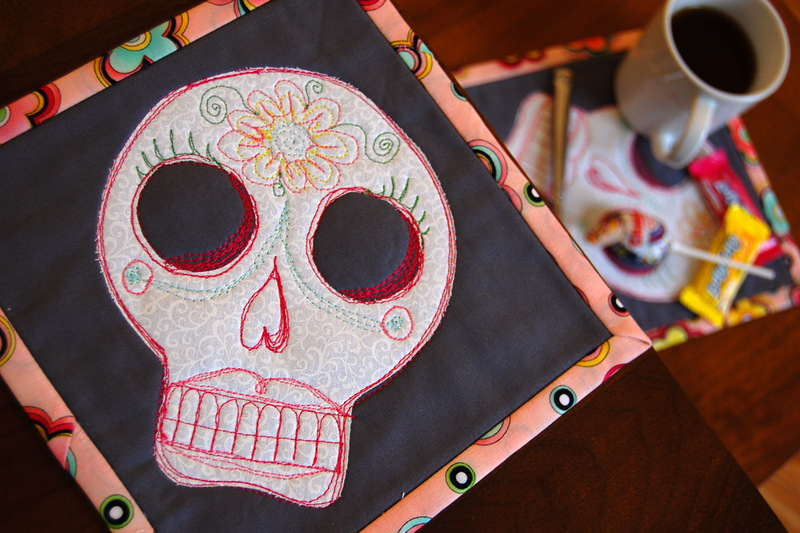 Make a set of spooky skull mug rugs to bring a little bit of the Halloween season to any corner of your home with the Sugar Skull Mug Rug tutorial. Before you start sewing those spooky costumes, check out these 3 Tips for Sewing Halloween Costumes. If your costume includes a cape, use this tutorial to create a simple hooded cover up. Change the color to suit the costume! 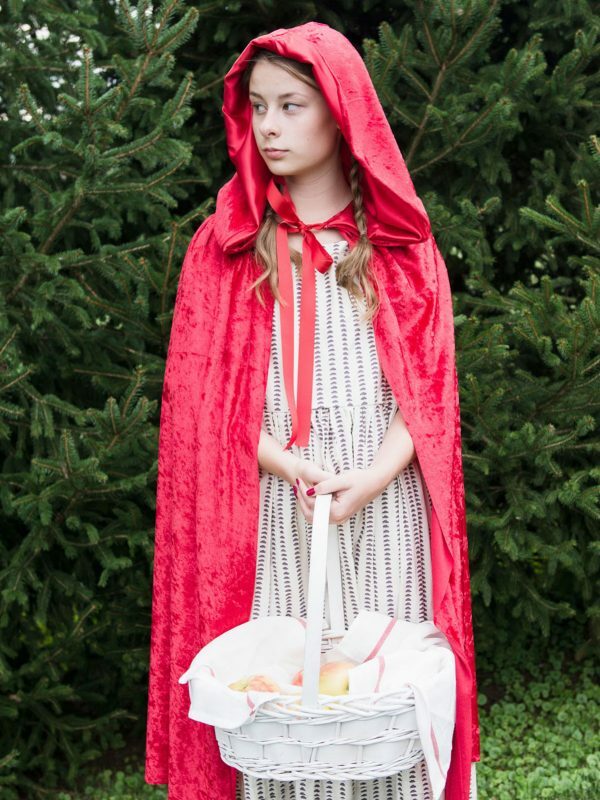 Learn How to Make a Hooded Cape here. 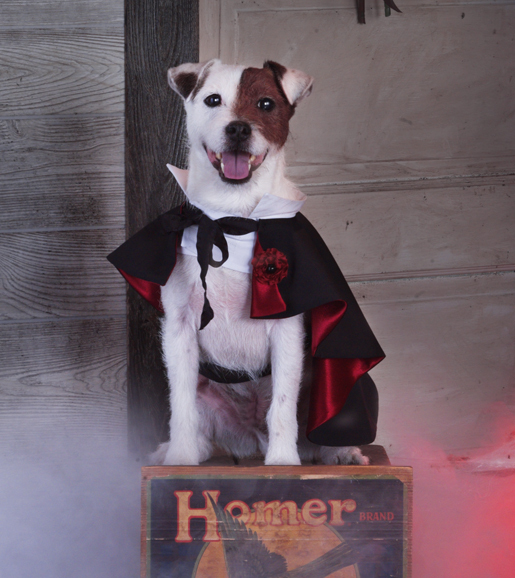 Let your furry friend have some costume fun with this DIY Dog Cape tutorial! If you don’t want to wear a full costume but still want to get in the spooky spirit of the holiday, check out the Build Your Own Monster post including free downloadable monster-building templates. T-shirt or tote bag, it doesn’t matter, you can put a monster on it! 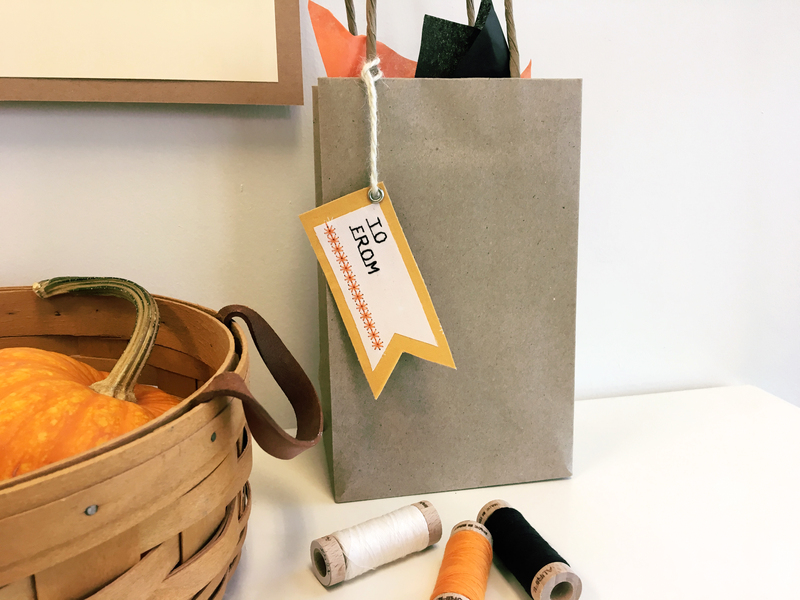 Create your own Halloween treat bag toppers and tags with this Holiday Treat Bag Topper tutorial. Use embroidery or panels of your favorite novelty fabric prints to make trick-or-treat bags. 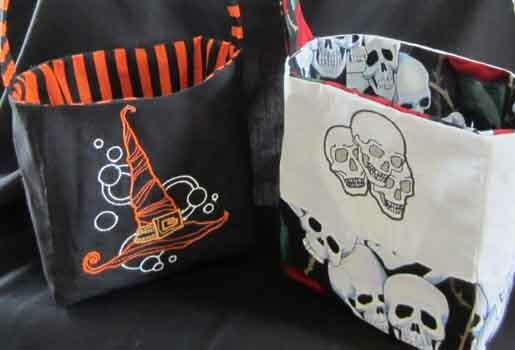 Find out How to Make Your Own Trick-or-Treat Bags here. 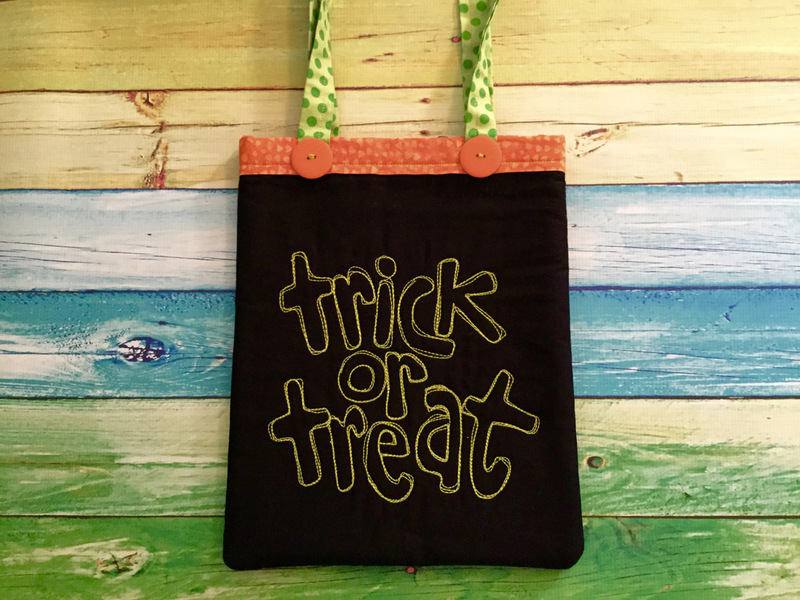 Ringing doorbells for sweets on Halloween evening doesn’t get any easier than when you’re carrying this fun Trick-or-Treat bag! Previous Previous post: Don’t Forget the Quilt Label!